Vandal Vernacular. — Christopher Stead. 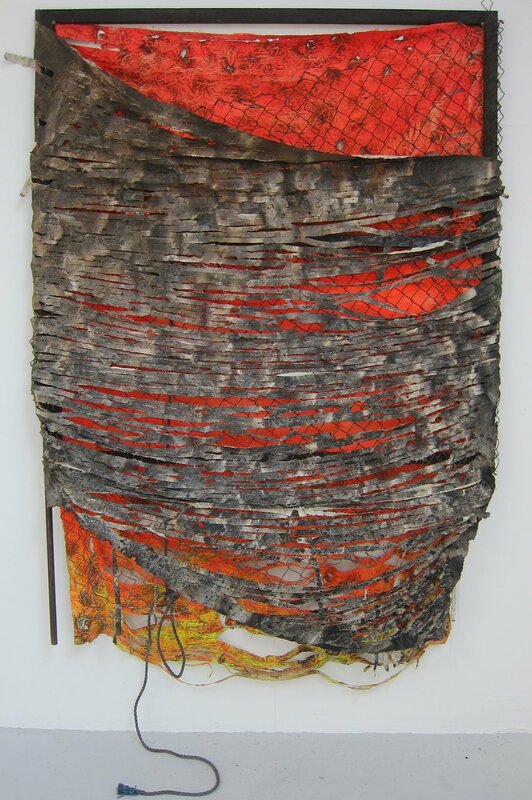 Resin, fence, rope, iron, wood & shredded canvas. 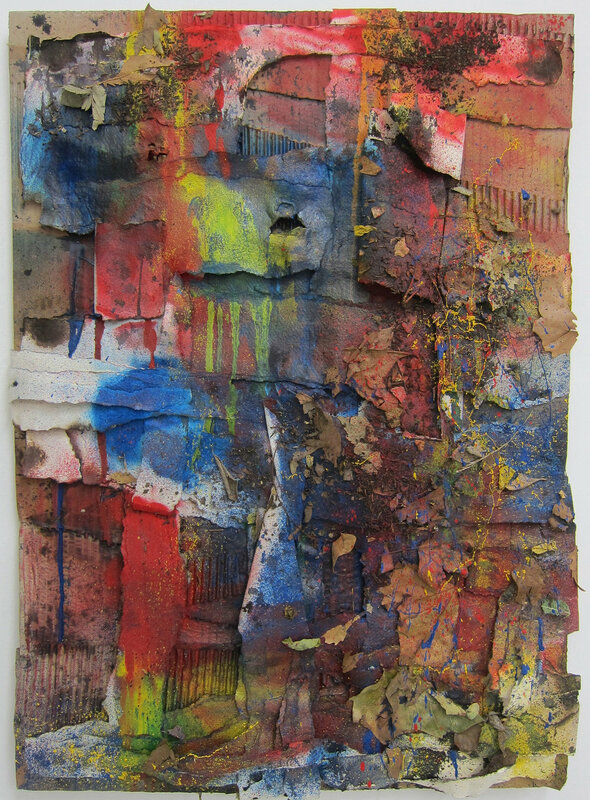 Concrete, alkyd resin, shredded canvas. After presents Glossary at Safe House, London 2016. 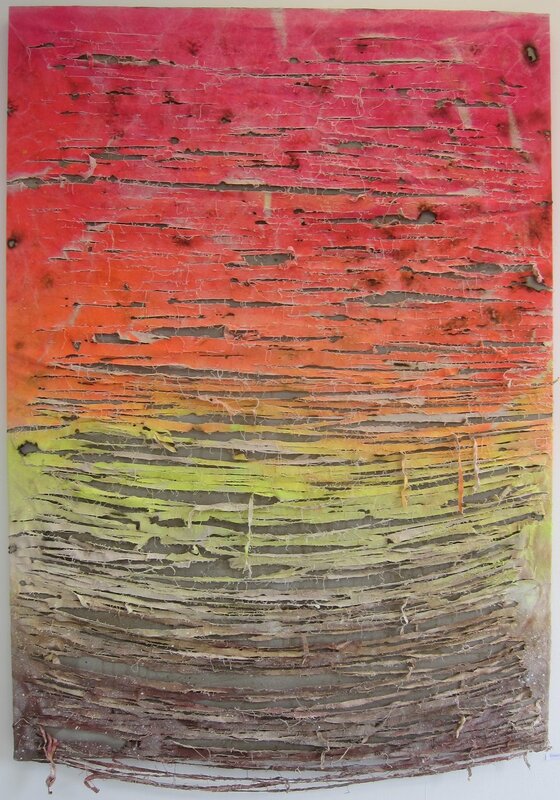 Resin, tree, fence, wood & shredded canvas. 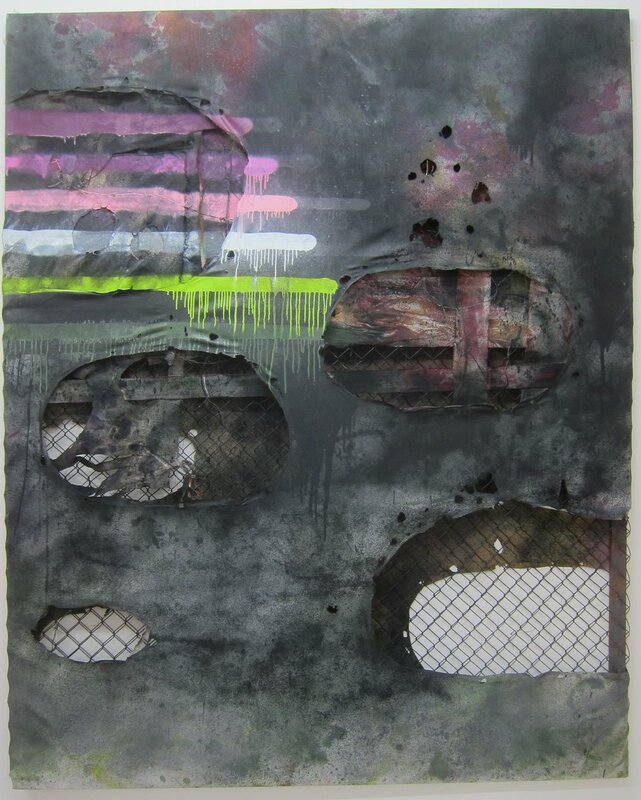 Out of Sight at Proof Gallery, London 2016. 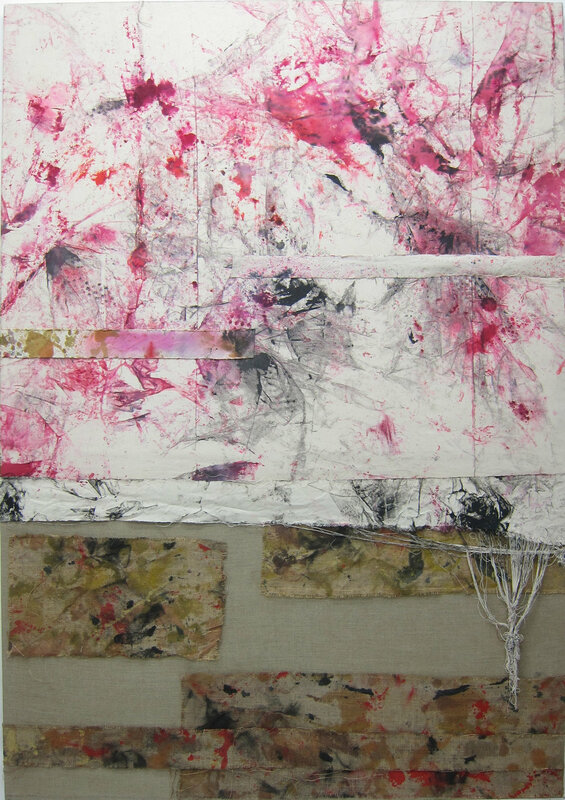 Alkyd resin, ink, bed springs, linen, hessian & cotton. Alkyd resin, ink, soil, barbed wire, polyester, fence, granite, wood, cotton & fire. 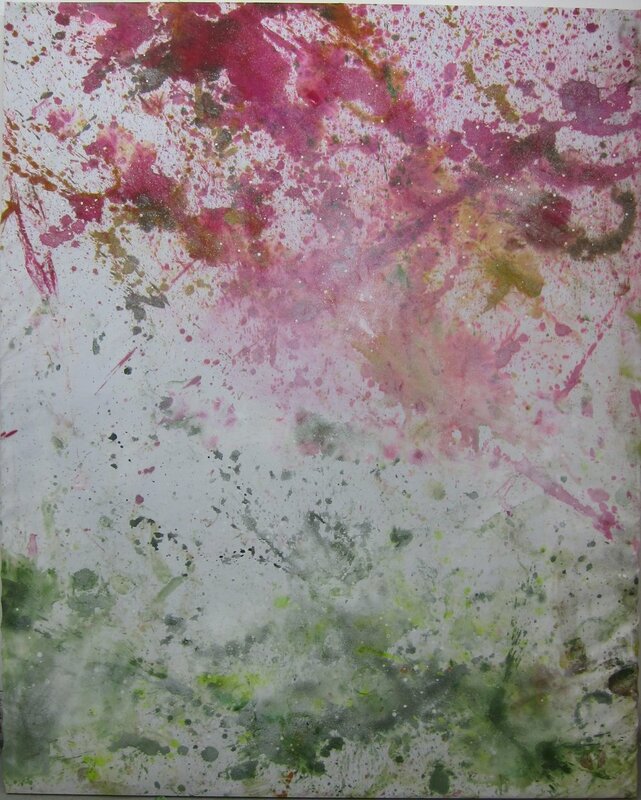 Alkyd resin, ink, water colour, hessian, linen & cotton. 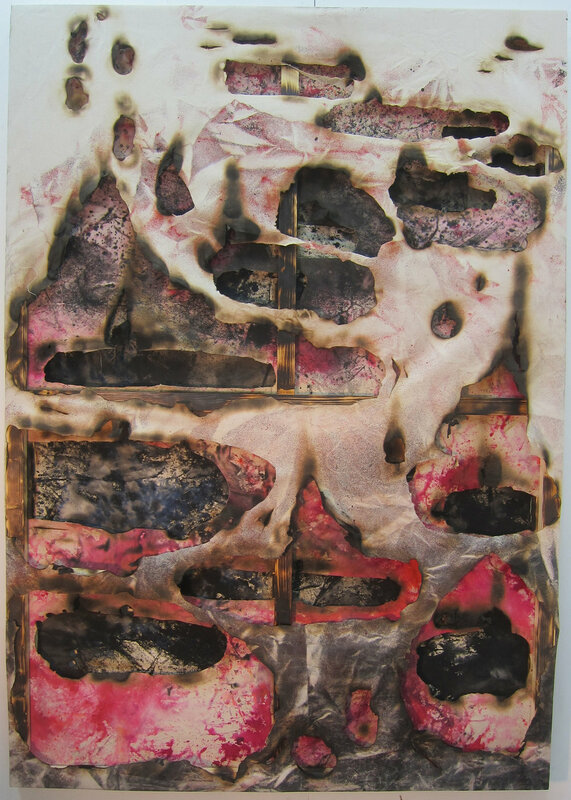 Alkyd resin, ink, water colour, bleach, fire and cotton. 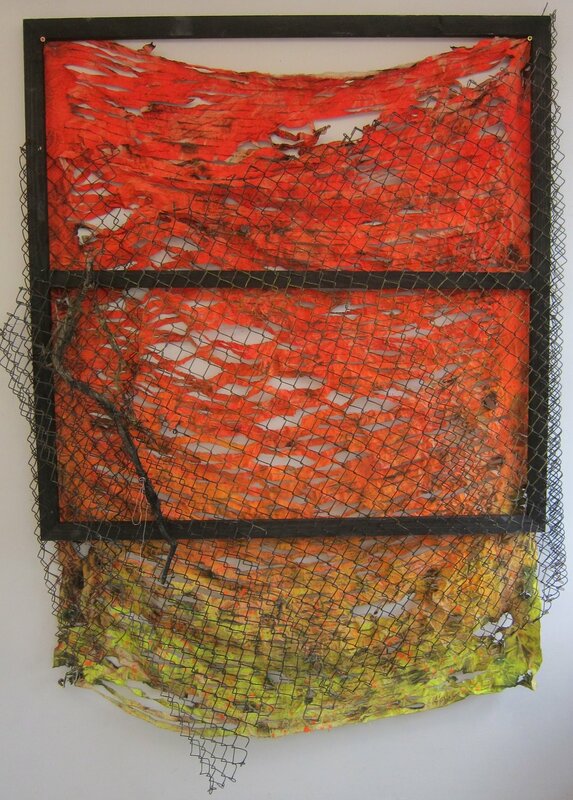 200 x 140 x 9 cm. Provisional Condition of Dystopic Surrender. 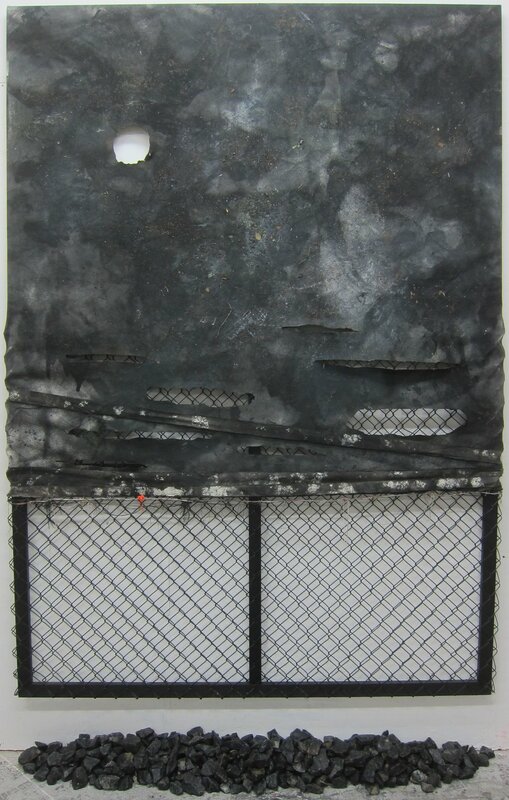 Alkyd resin, ink, watercolour, fence, barbed wire, burnt polyester & canvas. Ephemeral State of Utopic Compromise. 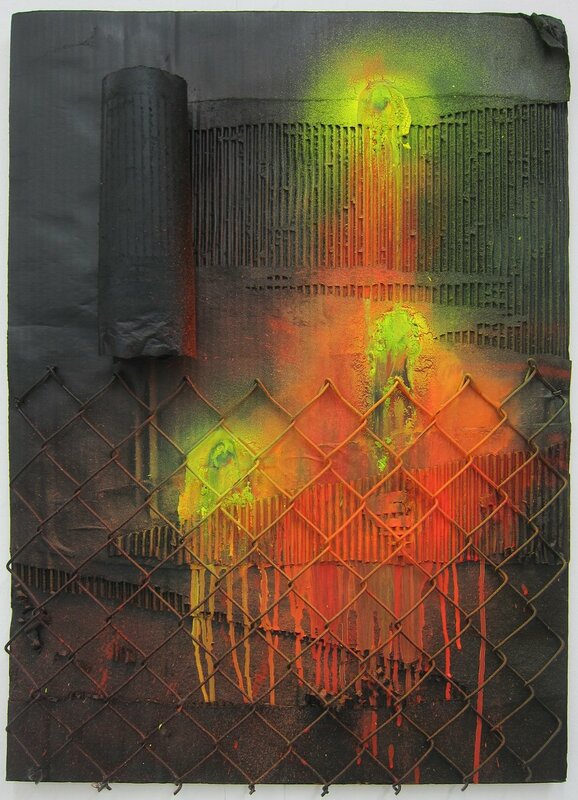 Alkyd resin, ink, watercolour, fence, barbed wire, polyester & canvas. 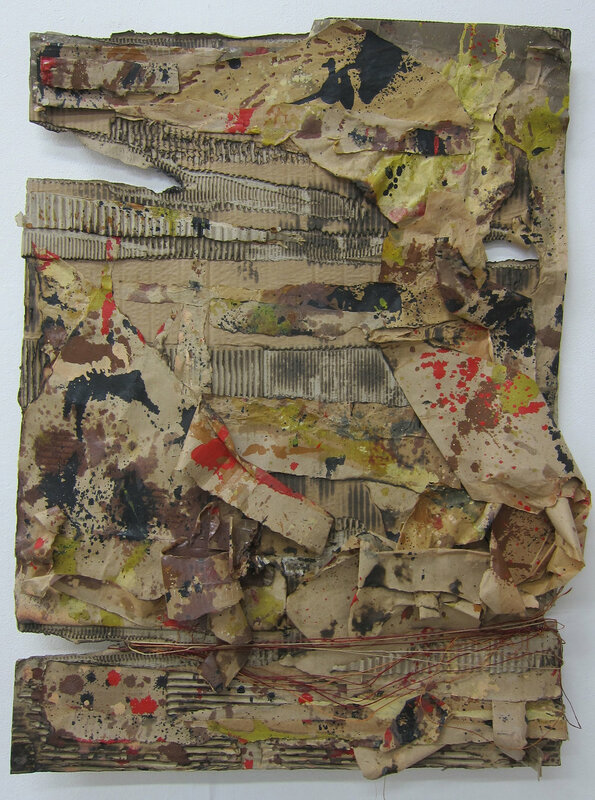 Cardboard, paper, cotton, alkyd resin & fire. 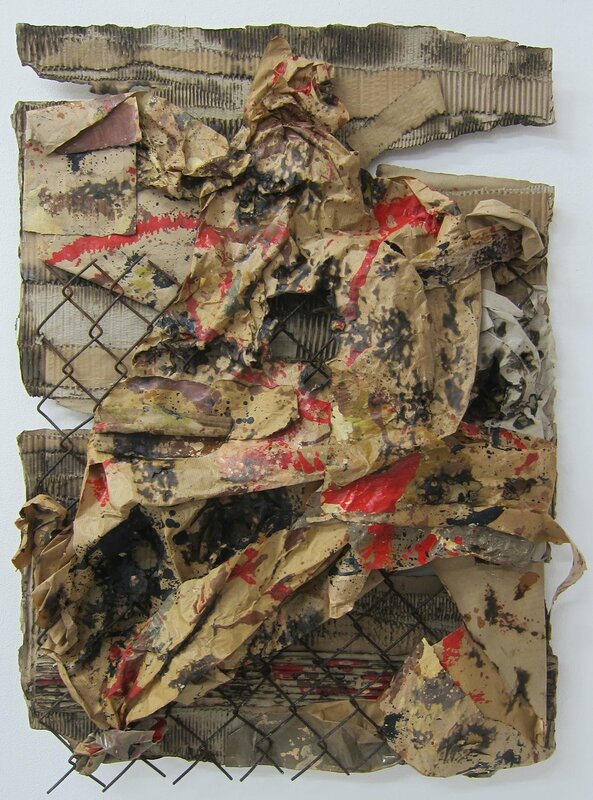 Cardboard, paper, acrylic ink, bleach, alkyd resin, leaves, fire and water. 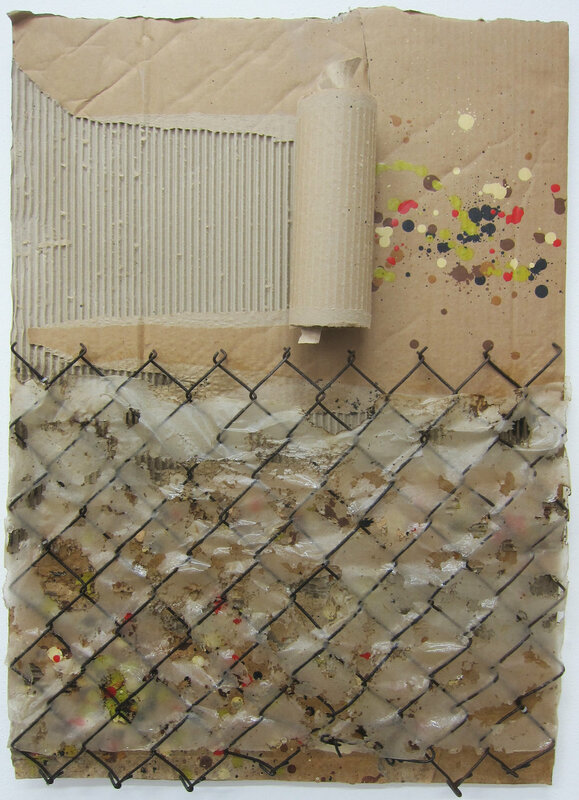 Cardboard, fence, paper, alkyd resin, fire and water. 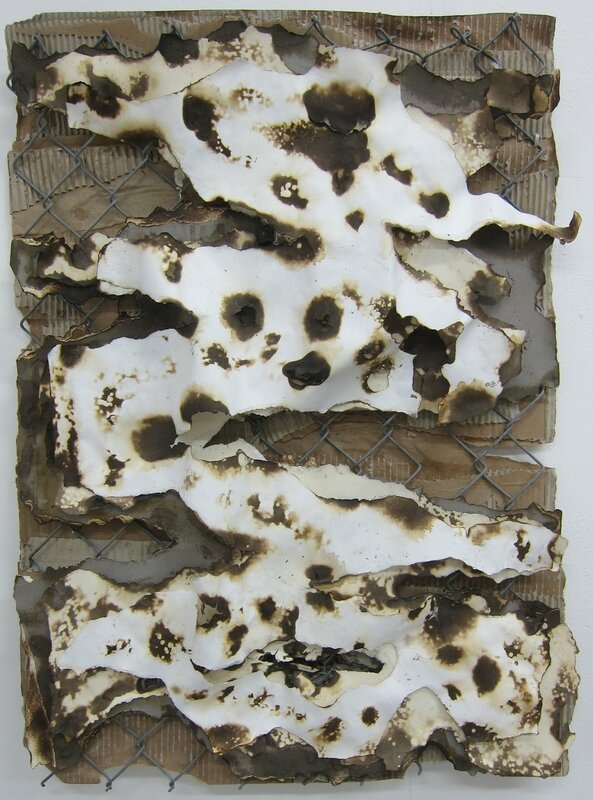 Alkyd resin, cardboard, paper, fence, fire & water. Cardboard, fence, paper, fire and water. 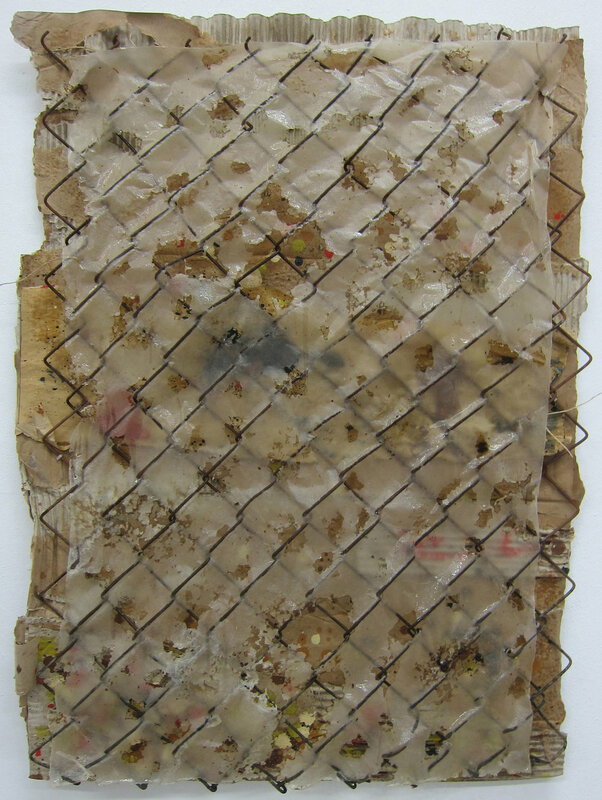 Cardboard, alkyd resin & fence. 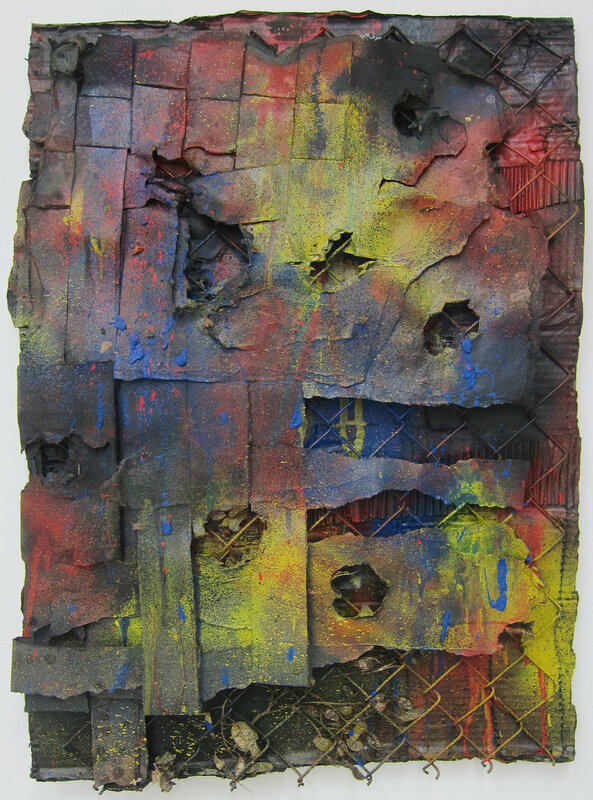 Cardboard, paper, alkyd resin, fence, fire and water.